Dryer Duct Cleaning in Ottawa - Ottawa Duct Cleaning Inc.
As you may already know from cleaning out the lint trap in your home dryer, dryers produce very large quantities of lint which needs to be cleaned often. Most homeowners assume that the lint trap in their dryer catches all of the lint, and that is all that is needed to maintain your dryer. The reality is that the lint trap catches a portion of the lint that is produced, but the rest is exhausted into your dryer duct. Proper maintenance of your dryer duct system can keep your home safe from fire and allow your dryer to operate to its full capacity and efficiency. We strongly recommended that dryer vents be installed professionally and cleaned at least once a year. 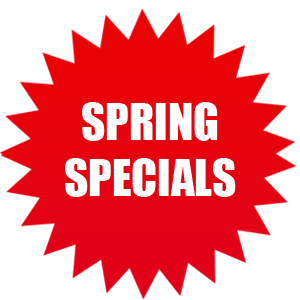 Call us at 613-836-7705 for a free dryer duct cleaning estimate! We use the most advanced equipment on the market today to thoroughly clean your dryer duct system to ensure that your home is protected by reducing any risks associated with your venting. A dryer is the most expensive appliance in your home to operate, you don't want to make it more costly by having it operate less efficiently. Our professional staff will keep your dryer running in top performance to keep your costs down. 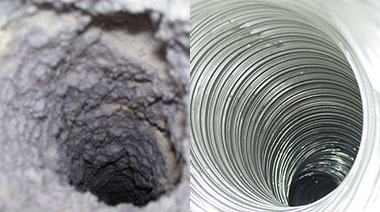 Regularly having your dryer vents cleaned out ensure the efficiency of your equipment is maintained at the highest level. Dryer cleanings reduce back pressure and stress on your dryer motor, greatly increasing the life expectancy of it and providing you huge savings in repairs and replacements. The efficiency of your drier is greatly reduced when the dryer vent becomes clogged by lint and other elements causing the machine to be 20% less efficient. Operating your dryer with clogged vents over time can damage your machine, increasing your energy bill, and impair the life of the dryer.